This blog will expand on themes and topics first mentioned in my book, "The Automobile and American Life." I hope to comment on recent developments in the automobile industry, reviews of my readings on the history of the automobile, drafts of my new work, contributions from friends, descriptions of the museums and car shows I attend and anything else relevant. Copyright 2009, 2010, 2011, 2012, 2013, 2014, 2015 , 2016, 2017, 2018, by the author. The wave of auto thefts in the early 1970s and the failure of manufacturers to make products that were secure resulted in the rising popularity of aftermarket security alarms. A wide variety of security alarm devices were available for virtually every make and model of car, ranging in price from about $30 for owner-installed devices to about $130 per unit for seller- or factory-installed devices. In general, a security alarm system consisted of a control unit, a set of sensors that might include pin switches installed at a door, trunk, and hood; a motion sensor; a switch to cut off the starter motor; and a siren or horn to indicate an attempted theft. More elaborate designs involved current draw, wheel rotation, or ultrasonic detectors. 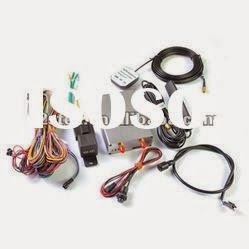 One auto alarm kit that was claimed to be so effective that “The only way your car can be stolen . . . is for the thief to pick it up bodily and carry it away” was the 1967 Auto Sentinel.57 For a modest $15, one could construct a device consisting of several relays, a switch, and a pair of resistors that would be triggered by mercury switches or existing door switches that were connected to the horn relay. For the would-be owner, all that was left to do once the Auto Sentinel was mounted and alarmed was to “relax;” in reality, all the thief had to do was to find the box and disconnect terminal 1! Several years later, Radatron Corporation produced an auto alarm kit that was designed for beginners to construct, containing a 52 page instruction booklet that concluded with the question “What did you learn?” Employing a power transistor and a control box with five coded push buttons, the unit intermittently sounded the vehicles’ horn when triggered by any electrical signal. A deterrent at best, the manufacturer warned any would-be kit builder that it “does give protection but should not be expected to foil a professional car thief familiar with this type of alarm.”58 Do-it-yourself electronic alarm kits of that era also often included motion sensors based on a pendulum. Unlike a clock, though, the pendulum was designed to be still rather than to swing all the time. Hanging straight down, it made no contact and thus the alarm was silent. If someone opened a door or leaned on the car, however, the pendulum swung on the low side making an electric contact that resulted in sound.59 The weak point in all of these primitive alarm systems was simply the power source used to energize them. All a thief had to do was cut the battery cable to the car, and once that was done the alarm was dead. One popular device available during the 1970s and 1980s was sold by Chapman Security Systems of Elk Grove Village, Illinois. David Arlasky, the founder and president of Chapman Industries and the inventor of the CHAPMAN-LOK, was a former auto thief. According to a company brochure, Arlasky purportedly knew “all the tricks of the trade in car thievery. For almost two years, he was a car repossessor [sic] for Chicago Banks. He ‘stole’ nearly 2,000 automobiles and made enough money to put himself through college! 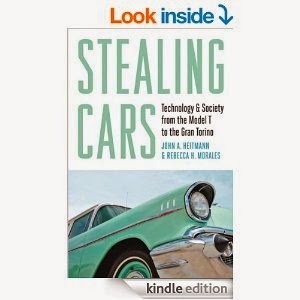 ‘And professional car thieves make a good deal more than I did,’ he says about the motivation behind auto theft.”63 Technologically, the Chapman system consisted of a key-operated hood and ignition lock placed under the dash. Protected by a steel conduit that was strong enough to resist a bolt cutter, a wire was fed under the dashboard to the automobile’s distributor, while a cable activated a dead bolt lock firmly secured to the hood. Optional accessories included a flasher, panic button, horn honker, sonic sensor, and glass sensor. Thanks for sharing its history. There are still some people who don't use auto theft alarm systems and thus, their cars experienced being theft. As a result, I need to get some cheap carfax vehicle history reports to know a car's entire history. I would definitely not fall for a lemon. Nice article, Highly informative, i want to share my thoughts which i gather from blogs. 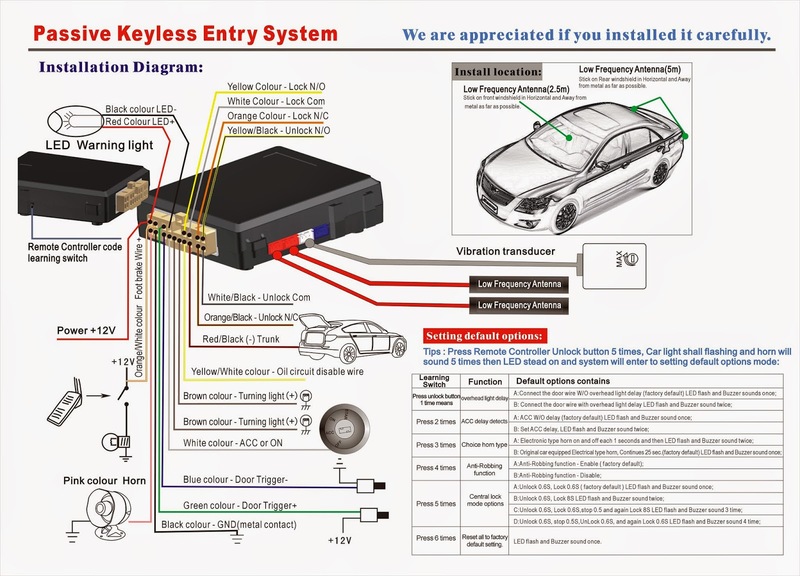 There are many products available in market which makes your cars more secure, like smart cop, keyless go and many more. To get details about these product use the below mention link. i had an add on called visabeam i think it was bought out by viper do you remember it ?it was a voice talking it sounded like a real voice when viper got it it didnt sound like a human anymore more like a computer voice.is that the right spelling for it visabeam? 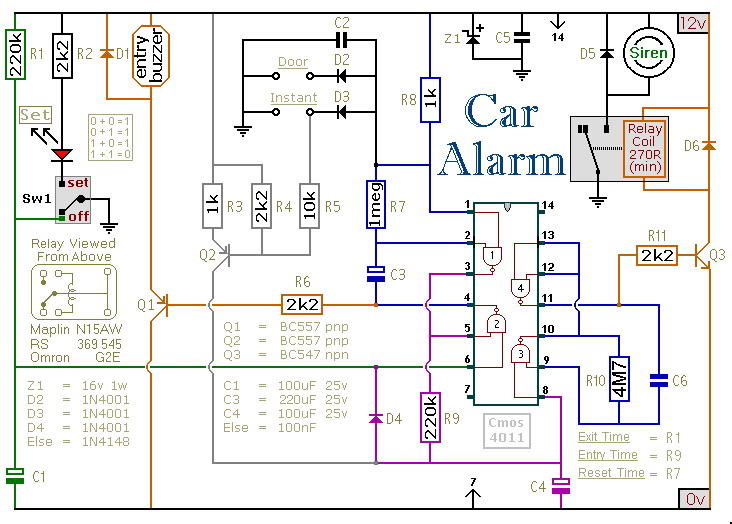 An anti-theft alarm systems is any device or method used to prevent or deter the unauthorized appropriation of items considered valuable.Thus, it is very innovative blog which gives new ideas and helps to understand the auto theft alarm Systems. Thank you for sharing such artistic blogs. Great Blog post, Thanks For Sharing inforamtion. if you want to Information guide to testing automotive, car, motorcycle, leisure, marine and garden batteries by Ac Auto Electrical. Livfuture is best swing gate supplier in pune we supply Automatic Swing Gate andAutomatic swing gate opener. Livfuture is one of the best automatic Swing Gate manufacturers in pune India. Offering wide range of Automatic Swing Gates. I always thought that the car alarm system only appeared in the past 20 years. I didn't expect it to have such a long history. Thank you for sharing these interesting and useful information. Nice post regarding anti theft. Do anyone know where can i buy a good antitheft bobby backpack in pakistan at a reasonable rate? Do let me know in rely please. thank you! thank for share this info..
SM Infotech offers you Security System Installation Service in Guwahati. For more information please visit us and be safe and secure all time. Nice sharing. Security system plays an important role in daily living. For entertainment, a condenser mic is a must have. Stealing Cars: "Bonnie and Clyde"
Youth and Auto Theft: The 1976 Film "Joy Ride."